A rash is a change in the skin’s color or texture. Simple rashes are called dermatitis, which means the skin is inflamed or swollen. Other common rashes include eczema, psoriasis, impetigo, shingles, chicken pox, measles, scarlet fever, insect bites and those caused by medical conditions such as lupus or rheumatoid arthritis. 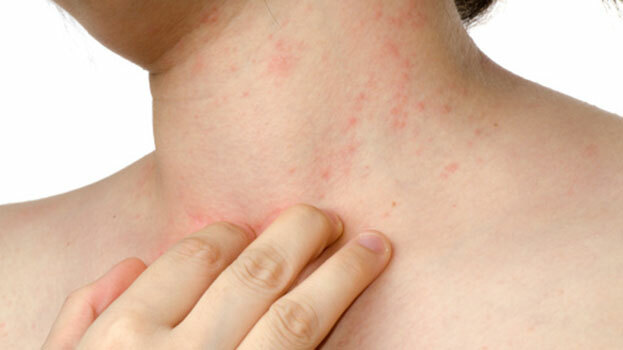 A physician is usually able to identify the rash by looking at it and asking about accompanying symptoms. Mild rashes can often be treated with simple home care practices such as avoiding soaps and bathing in warm water. Others may require moisturizing creams, prescription medications or more extensive treatment.